When your startup is growing quickly, you're often forced to figure things out on the fly. Those who succeed come away with a wealth of hard lessons learned and valuable insights. It’s lessons like these that put Melody Koh on our radar. Melody recently became a venture partner at NextView Ventures, but spent the 3.5 years prior leading product at Blue Apron, the ingredient and recipe delivery service that went public earlier this year. Blue Apron grew its customer base and revenue 25x in her time there, and while those key lessons were still fresh, she shared them in a post on Next View’s blog. The piece is packed with insights, and after reading it I asked Melody to join me on our podcast. Our conversation covers the nuances of managing a product that’s digital and physical in nature, why a startup needs to inject process and hierarchy as it grows, proactively investing in collaboration across teams, and much more. If you enjoy the conversation, check out more episodes of our podcast. You can subscribe to it on iTunes or grab the RSS feed in your player of choice. When your product has both physical and digital touch points, software engagement is measured much less by logins and more by influencing buying decisions. As your team grows, inevitably coordination slows down process; however, an eye toward running regular experiments can help you continue shipping fast. Regardless of the role software plays in cancelation, combatting churn is everyone’s job. Period. The problem with a lack of hierarchy at scale: employees don’t clearly know what expectations are set for them, where to get feedback and how to get decisions made. At a growing company it’s crucial that senior leadership proactively design better ways of collaboration across teams. Des Traynor: Melody, welcome to the show. For people who might not be familiar with NextView Ventures or as familiar with yourself, could give us a quick rundown of your career to date? Melody Koh: I’m currently a venture partner with NextView, a seed-stage VC firm. We are based in New York and Boston, invest nationally and focus on what we call the Everyday Economy. We’re interested in partnering with entrepreneurs who leverage technology to redesign the daily lives of everyday people like you and me. Most recently I was Head of Product at Blue Apron, and I joined the company when it was about 18 months old. It was still tiny – we had about 20 people in the office. I was the first product hire and went on to help build and lead the product management, design and analytics teams over the course of three and a half years, which led to the company going public. Des: Going from a public company to working with seed stage companies seems like a quite an extreme change. What did you miss or drew you back to working with early stage companies? Melody: When I interviewed with Blue Apron it was in a coworking space. My first week was there, and in my second week we finally moved into our first real office. In three and a half years at Blue Apron, the most fun years were the first two, when the company was still pretty small and there was a lot of entrepreneurial energy, even though I wasn’t one of the founders. That’s not to say that I didn’t thoroughly enjoy my entire tenure at Blue Apron. There are a lot of fun things about building a team and helping the company scale, but part of the reason for me to decide to take this role is I missed the earlier stage actions and being close to the entrepreneurial energy. Also, the difference between working at a company to help the company grow, as opposed to being on the investing side, is a depth versus breadth tradeoff. I’m excited to be back to getting more of that breadth and seeing innovations come – all sorts of things that different people are working on, who know way more about the space than I do. That’s a lot of fun too. Des: Thinking specifically about when you joined Blue Apron, two things are very interesting to me. One, is that you were the first product hire. Secondly, in a lot of people’s minds, when they buy Blue Apron, the product is the ingredients that show up on the doorstep. It’s not necessarily the software; however, the software is in many ways the conduit for it. If you do your job well, you’ll sell more. What was it like when you got there as the first product hire, and how did you kind of relate with the physical product? Is there another head of product who is in charge of the ingredients? Software is an integral part of every single touch point in the user journey. Melody: I wish I was in charge of the ingredients because that job’s more fun! Actually, when I first joined Blue Apron, we didn’t have anyone in product. They just needed a product manager, and I joined as an individual contributor. Blue Apron hired two people, me and my colleague, who ended up being on my team, and we helped start the product management practice. That was the initial expectation. As the company was growing, we realized that we actually needed someone to help set the vision for (the future). Software is an integral part of every single step of this company’s operation, as well as every single touch point in the user journey. We actually needed to take this more seriously and really have a point of view on this, which leads to the answer to your second question. Blue Apron, because it’s physical and digital in nature, it’s an extremely cross-functional company. As a result, the role of product management is to be the person who knows most about the technology’s limitation and potential, and to really work with folks across marketing, operation, customer service, supply chain and culinary. Culinary, by the way, is a team of really, really awesome chefs who spend all their time in test kitchens designing and thinking about what the physical product is every single week. The way I really tried to distill it down for the team is like this: You are responsible for connecting all the dots, and anything that we want to do for our customers has a technology and software component. You’re probably in the best position to understand how to massage that trade off in terms of what we can actually do and what the timeline could look like, and work with other functional experts to bring an experience to customers that is holistic and cohesive. That way, regardless whether a customer touches Blue Apron through a physical insert, cooking a meal or managing a delivery through the app, it all makes sense. Des: As the product manager, do you care if people are logging in everyday? Their engagement with the software is somewhat secondary to their engagement with the ingredients. Does that change how you think about the metrics of what an active user is? Melody: Blue Apron’s business model, at least how it appears to the outside world today, is what I call a flexible subscription. You sign up, but unlike Netflix or a magazine, you actually have complete flexibility to turn on and off each individual delivery. Think about digital as a lever you can pull to build habits and loyalty. Engagement as a concept for Blue Apron is actually quite tricky, because it’s not like you can just draw an XY graph and say, “the more engagement, the better”. That’s not necessarily the case, and the responsibility of the digital experience is to create thoughtful engagement. The metrics are not necessarily about how many times do people come to touch with the experience, when you think about digital as a lever that you can pull to build habits and build loyalty. You have to start from that and think about how to get some screen time with our customers, so we can help influence their decisions. Influencing the decision could be, “Hey, this is the recipe that you’re going to miss because you’re currently planning to skip two weeks from now.” The digital experience has the ability to help change your mind, if you were willing to engage with us in the first place. That’s a thoughtful engagement, rather than just dropping people into any part of the digital experience. Des: Was onboarding and the sign-up funnel a separate concern, or was that in the realm of product? Melody: That would be a different PM owning that scope, but yes, that’s absolutely part of product’s purview. Regardless of which part of the software experience (you work on), it’s a collaborative process because you have to consider the up funnel and the down funnel. What other types of marketing campaigns are coming in? What kind of offers do we give to people, if any? As a result, product and marketing have to work very closely in sync so that the touch point hand-offs makes sense. Blue Apron’s flexible subscription model means that meaningful engagement is defined by more than just signups or logins. The same is true of warehouse management system software. That’s a very close partnership between product, engineering and our fulfillment operations teams. Des: Famously, Blue Apron has seen meteoric growth in users. Did that slow things down from a product point of view, or did you still retain some of the freedom because people don’t necessarily have to log in everyday? Melody: The tricky thing about growing in terms of headcount is that you have more coordination to do internally. As a result, it’s tougher to move nearly as fast as you wanted to when you had three people in a room and just decided what to do. The focus on polish is another element. At Blue Apron, the preference is to build a polished and thoughtful experience over speed, and obviously, we want to do things a fast as possible. That became a little tougher, but at the same time, the beauty of software is that you can run experiments constantly. There are many pockets of business leverage that are pure digital, and I encourage the teams to not forget about that. Those are independent levers that you can pull that you can move a little faster on. Des: To make that work, were you running multiple versions of sign-up flows or multiple different subscription dashboards in parallel A/B tests? The beauty of software is that you can run experiments constantly. Melody: Yeah, it was probably similar to how you guys run A/B. At any given point in time we probably had three to five experiments going in different parts of the user experience. Obviously, we also wanted to make sure that it doesn’t jeopardize the end user experience and would be conscious of the size of the test population, as well as coordinate very closely with our CX teams to make sure that nobody’s confused. Des: One thing product managers in software stress over is churn. With Blue Apron people might just stop wanting the ingredients or they might get married and start cooking; there’s a million reasons why people might stop using it that have nothing to do with the software. How would the product team connect with the idea of people canceling? Is it relevant or do you just assume it’s not probably the software’s fault? Melody: The mentality is always that if a customer is suffering, or if it’s a key business metric, it’s everybody’s responsibility. I will say that internally at Blue Apron we had a good grasp of the types of reason why people decided to not continue the subscription contract with us. And again, Blue Apron has a flexible subscription, so it is not as binary as having your Netflix on or off. There’s added subtlety to that. It’s more like an eCommerce business, because Blue Apron checks out for you on your behalf. That being said, once you know the reason, or at least what people tell you is the reason for why they cancel, there are certain levers the software can pull and that’s the responsibility of user experience. There are other things that require a more cross-functional endeavor. One example people just want more choices. That’s an entire company-level endeavor, but technology and software will have to play a key part because that’s a fundamental change to the way the software handles order management. Des: In your blog post, “What I Learned Helping Blue Apron Grow 25X in 3.5 Years”, you make the point that common sense judgment stops scaling in a product team. You talked about how you went to the actual live software, found a pretty clunky experience and thought, “Wow, how did this get live?” To help solve that, you advocate for standards and processes and just in general a bit more rigor in terms of how we ship. When is the tipping point where it makes sense to inject a bit more process? Is it once you see things breaking you should start fixing, or if you could do it all again would you have more process from the start? People want to know what the expectation of them is and where to get feedback. I was just talking to someone this morning who talked about another startup that was anti-process and anti-hierarchy. I actually think that’s very confusing and frustrating for people. They want to know what the expectation of them is, how to get decisions made and where to get feedback. Spelling things out a little more will actually be helpful for people. Obviously the caveat here is that it depends on the culture. The other example I would give is that the engineering team hit about 15 people, without any engineering management layer, that’s when things start breaking down. 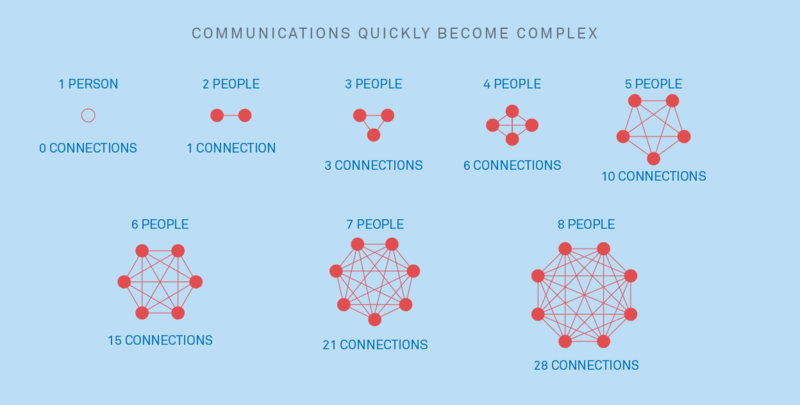 As teams scale in size, communication challenges create a need for hierarchy. Des: I think you’re totally right. I’m very much an advocate of hierarchy. It actually helps, as does management. Most people who boast about being flat or not having managers, inevitably if you double click under their brash statement, you’ll find that all the traits of management are alive and well in the company, they just don’t have the word manager. In terms of process, you talk a lot about designing better ways for teams to collaborate. Was there a specific boiling point where you’re were like, “We need to actually get good at this, we need to redesign how we work together”? What solutions come to mind when you think of the various iterations you would have gone through in three and a half years? Melody: You have 1:1s with your people and you start noticing that most of the 1:1 content is, “Hey, can you help me negotiate with so-and-so?” Or, “Hey, I’m not moving fast enough because X department is saying Y, and we can’t get them on the same page.” Or maybe you’re thinking, “Oh my god, I’m in meetings all day and these meetings don’t seem to have well edited attendee list and don’t seem to be well done.” Those are signals for when you’re probably spending more non-smart hours trying to figure out how to work together, especially at a company that requires very high-level functional collaboration. In terms of specific things I would suggest, it’s important for the senior leadership team and the CEO to understand and recognize that this is an important part of making sure the company continues to be efficient and deliver a high output and quality of work. Get aligned with other department leaders and senior leadership so that people recognize, “Oh, our people are going to be bogged down.” If the utmost senior level people lever are aligned then that makes it a lot easier for folks to work. Most of the time this stuff happens unintentionally. It’s not like other teams are good citizens; it’s just a reality of teams going too fast ,having too many new people coming on board without clearly defined scope, or just a miscommunication on expectations. Des: Closer to home for you, NextView invest in companies from seed stage and even maybe pre-seed stage – I think you defined it as the napkin sketch stage. What would have to be on a napkin to make it so attractive that you’d be handing over money? Or in more general terms, what do you look for in these early stage startups? Melody: If you ask 10 investors they’ll give you 10 different answers, because there’s no agreed upon playbook. I think the most important aspect at such early stage is people. By that I mean I really want to get to hear their stories, get to know these people, and look for what we at NextView actually call founder/market fit. I want to know, why are you solving this specific problem? What is your personal connection to this problem? What is the background that you have that could potentially put you in a uniquely and advantageous position to tackle this? That’s a very important element, and I say the other thing is how have you gotten traction. By traction I don’t mean that you have a product that’s used by hundreds of thousands of people. I mean getting an understanding of much you have accomplished in the period of time you have been working on it. Even if you are three weeks or three months in, you can still show progress, and I think that’s a good indication of the team’s execution horsepower. Then it gets into more specifics about is this an opportunity that makes sense given the market and given the timing. Des: So it’s very much quality of the team, then secondly how well they fit with the opportunity or the market, and then thirdly the actual idea itself. Is that roughly how you think about it? Melody: Yeah, I think so. Des: Have you ever encountered a superstar team with a bad idea and had that reluctance? Or inversely, if you see a weak team with a fantastic idea are you better off walking away or do you think you can course correct these things? Melody: I’ve seen the first one end up working. I won’t call this a “bad idea”, but the Blue Apron founders’ first idea they started is actually called Petri Dish, a Kickstarter for science projects. Then they somehow pivoted to Blue Apron. Who would have known? Des: Looking towards 2018, what are the product trends that you’re either excited about or you think will come to fruition next year? Melody: These aren’t necessarily product trends but I’ll volunteer a few areas I’m personally interested in spending time and hopefully money. Going back to the Everyday Economy, I’m personally very interested in thinking about what shopping and retail and physical commerce look like in the next 10-20 years. Regardless of how advanced technology is we still need and want to buy physical stuff. So what does that look like? The supporting infrastructure companies that could potentially exist to help enable interesting and much more personalized commerce experience is something I’m personally curious about. 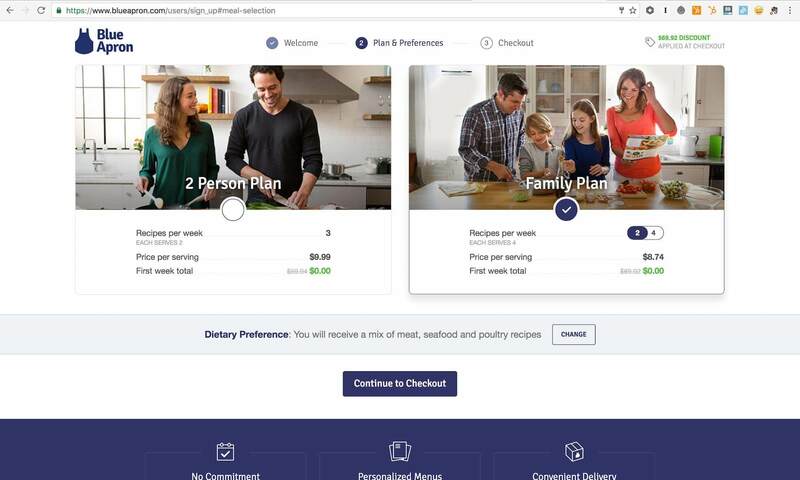 Des: Obviously Blue Apron is one type of that in that it’s loosely a subscription to ingredients for cooking. There are subscriptions for razor blades, there’s subscriptions for socks, there’s subscriptions for socks, there’s subscriptions for lots of physical products. If someone comes to you and says, “Hey, I’ve got a subscription idea for cleaning products”, is that category of idea just done in your head? Or do you think these are mostly brand players at this point? Melody: I don’t really react to things through the lens of subscription, per se. I think subscription as a model fits naturally in certain categories that are high frequency purchases. For example, people eat everyday. You can see that this could potentially make sense and then you have to think about if this model going to be additive to the user experience. It’s just a description of a business model as opposed to the fundamental core of what the user experience looks like for the consumer. Does it makes sense for a customer? If so, then it’s great. If not, then it creates more friction as a result as opposed to reducing it. The other area I’m interested in exploring more is around the home category. I recently became a homeowner, so I’m spending more time as a user. And because of my product background I get interested in an area when I can personally emphasize with the user experience. So NextView has done a few investments in the space, but I think we’re looking to do more. I’m curious and interested in learning more about how people think about home buying, all the way to maintenance, to décor, to other things where households spend a lot of energy and time. Des: Does that include home automation on the hardware side of things, or are you specifically thinking of the administration of the heavy lifting of owning a property. Melody: We would look at automation as well. The lens we really use is, “Hey, is this something that really created a habitual experience for everyday people? Is it pervasive enough that it is relevant for a lot of the population out there?” If so, it really fits with the Everyday Economy as opposed to the one-percenters so to speak. Then it might not be as relevant because it’s such a small pocket of the population. Des: If you’re thinking about new ways to think about commerce around physical goods or anything to do with home, home ownership, home renovation, home decoration, home maintenance, you could do a lot worse than reach out to Melody at NextView. This has been a really great conversation. Thank you so much for your time. Melody: Thank you and thanks for having me.